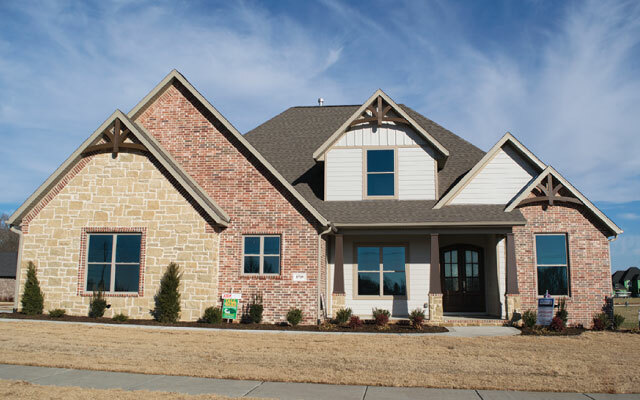 Started in 1995, Tall Oaks Construction is a family owned business and has gained a strong reputation for assembling speculative and custom homes in many of Bentonville’s most loved neighborhoods. Bill and Dana Lessly, owners of Tall Oaks Construction, moved to Bentonville in 1988. Upon their arrival to Northwest Arkansas, the Lesslys decided to build a custom home for their family. However, they quickly realized that there were limited options for builders and designs that actually suited their style. If there’s one thing the Lesslys know, it’s that no homeowner should ever have to settle when designing their home. Bill and Dana had previous experience with remodeling and decided that they would take on this task themselves. After completing the construction of their own home, the Lesslys discovered their love of creating a more innovative and convenient approach to home building. Bill and Dana saw the need for builders that provided more options to cater to different home owners. They knew they could provide the service to meet this need. For over 20 years, Bill and Dana have committed themselves to meeting this need for an exceptional custom home building experience. Tall Oaks construction has been guiding home owners through the custom home building process for over 20 years. The Lesslys have the experience, the ability and the desire to guide you through all phases of creating your dream home. Their philosophy of ingenuity and customer service is illustrated in every home they create. Whatever the project, Tall Oaks guarantees to not only meet client expectations, but to exceed them.